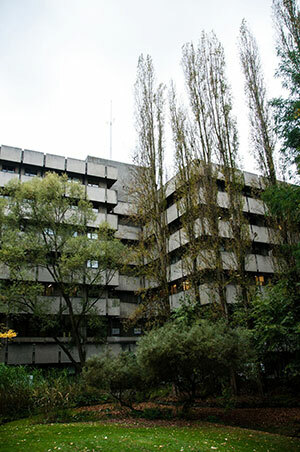 Under the direction of Professor Julie Duque, the Cognition and Actions Lab is part of the Institute of Neuroscience (IoNS) of the Université catholique of Louvain (UCL), which is located in Brussels, Belgium. The lab currently hosts several undergraduate, graduate and post-doctoral researchers. Current research revolves around the mechanisms by which the brain copes with the limited resources that are available to a living organism, being computational, energetic or otherwise, to generate goal-directed behaviors. This encompasses several research topics, namely decision making, a process allowing one to decide what to do next in dynamic and unpredictable environments, based on the integration of multiple factors including perceptual evidence, biomechanical constraints, personal goals, contextual rules or the expected outcome of actions; inhibitory control, a mechanism regarded as critical for the selection of pertinent actions and their initiation at the appropriate time; mental fatigue, which can be viewed as a consequence of an excess of mental effort investment; habitual learning, a process allowing us to learn how to behave in a complex environment while saving computational resources and chunking, a mechanism originally viewed as a strategy aimed at reducing working memory load, but operational in many other behaviors, including sequence learning, language and perception. Experiments incorporate a combination of behavioral, perceptual and cognitive tasks with both healthy human participants and clinical populations such as patients diagnosed with Parkinson's disease or suffering from an addiction. Non-invasive brain stimulation such as transcranial magnetic stimulation (TMS) and neuroimaging techniques such as electroencephalography (EEG) and functional magnetic resonance imaging (fMRI) are used. Several researchers are involved in collaborative work with neuroscientists and physicians located at other research centers in Belgium and around the world.